Today (Wednesday 5 April 2017) an American study published in GUT reveals that people who take antibiotics for a long time are more likely to develop growths on the bowel, which can lead to bowel cancer. 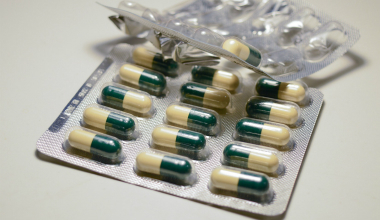 Experts warn that the early results need further investigation and people should not stop taking antibiotics. Polyps are non-cancerous growths that can grow in the lining of the body’s organs, including the bowel. In most cases, they do not become cancerous but some go on to develop into cancers if left untreated. “The results of the study are interesting and adds to a growing body of knowledge on how the bacteria that live in our bodies affects our health. However this is an observational study and it is impossible to definitively know if longer term antibiotic use causes bowel cancer. It’s vital that people continue to take any antibiotics they have currently been prescribed, and speak to your GP for any concerns about your bowel health. “We know that 41,200 people are diagnosed with bowel cancer every year, it’s the fourth most common cancer in the UK. There are several known factors that increase your risk of getting the disease.